Chalcedony, also spelled calcedony, is a very fine-grained (cryptocrystalline) variety of the silica mineral quartz. It has a waxy luster and appears in a great variety of colors -- usually blue-white, buff, light tan, gray, yellow or brown. A form of chert, it forms rounded crusts, rinds or stalactites (mineral deposits suspended from the roofs of caverns) in volcanic and sedimentary surroundings. It has a compact fibrous structure and fine splintery fracture. In the petrified forests of the desert southwest, many of the original tree tissues have been replaced by chalcedony in the formation of petrified wood. What remains is a mineral replica of the original tree in various fantastic colors. The brilliant reds and greens are caused primarily by traces of iron oxides. 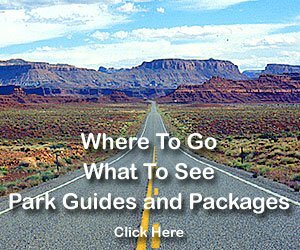 Some of the best displays of petrified wood can be seen in eastern Arizona's Petrified Forest National Park. In all ages many varieties of chalcedony have been used as gems, and many colored varieties are still cut and polished as ornamental stones. Unless it is intricately carved or featured, chalcedony is valued much less than it once was. Commercial production is primarily in Uruguay, Brazil and southwestern Africa. It is said that chalcedony was used as a sacred stone by the Native Americas, promoting stability within the ceremonial activities of the tribe. Chalcedony is said to augment emotional balance, vitality, stamina, endurance, kindness, charity and friendliness. It supposedly alleviates hostilities, irritability and melancholy. Moss Agate: Also called Mocha Stone, this grayish to milky-white chalcedony contains dark-colored, dendritic branching forms that resemble ferns, moss, or other vegetation. These formations are caused by the inclusion of mainly manganese and iron oxides of inorganic origin. Most moss agates are found as fragments weathered from volcanic rocks. It has long been used for ornamental purposes. Onyx: This striped, semiprecious variety of agate has black and white alternating bands. Onyx is used in carved cameos and intaglios because its layers can be cut to show a color contrast between the design and the background. Onyx is one of the 12 stones mentioned in the Bible as adorning the breastplate of the high priests. Bloodstone: Also called Heliotrope, this dark-green variety of chalcedony has nodules of bright-red jasper distributed throughout. Bloodstone was greatly prized in the Middle Ages and was used in sculptures representing flagellation and martyrdom. Carnelian: Translucent red chalcedony is called carnelian, which owes its red to color to hematite (iron oxide). It is a close relative of Sard, which is brown in color. The Greeks and Romans used carnelian in rings and signets. Chrysoprase: This brittle, translucent form of chalcedony owes its bright, apple-green color to the inclusion of nickel silicates, but heating or prolonged exposure to sunlight causes the color to fade. Plasma: This semi-translucent, microgranular variety of chalcedony occurs in various shades of green, caused by amphibole or chlorite inclusions. 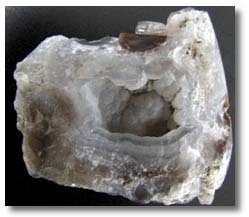 Plasma often has nodules of gray quartz or bloodstone throughout its mass. It has long been used for carvings and mosaics.